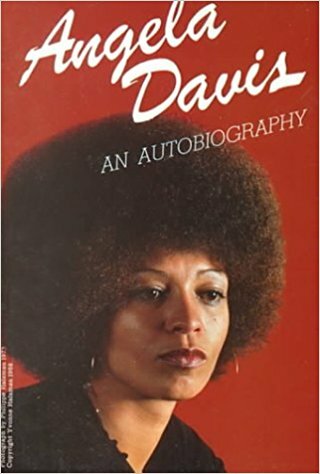 "Angela Davis is an American political activist, academic, and author. She emerged as a prominent countercultureactivist and radical in the 1960s as a leader of the Communist Party USA, and had close relations with the Black Panther Party through her involvement in the Civil Rights Movement. She was a professor emerita at the University of California, Santa Cruz, in its History of Consciousness Department, and a former director of the university's Feminist Studies department. Her research interests are feminism, African-American studies, critical theory, Marxism, popular music, social consciousness, and the philosophy and history of punishment and prisons. She co-founded Critical Resistance, an organization working to abolish the prison–industrial complex. Beginning in 1969, Davis was an acting assistant professor in the philosophy department at the University of California, Los Angeles (UCLA). Although both Princeton and Swarthmore had tried to recruit her, she opted for UCLA because of its urban location. At that time, she was known as a radical feminist and activist, a member of the Communist Party USA, and an associate of the Black Panther Party. The Board of Regents of the University of California, urged by then-California Governor Ronald Reagan, fired her from her $10,000 a year post in 1969 because of her membership in the Communist Party... On October 20, when Judge Jerry Pacht ruled the Regents could not fire Davis solely because of her affiliation with the Communist Party, Davis resumed her post. Davis was one of the founders of Critical Resistance, a national grassroots organization dedicated to building a movement to abolish the prison–industrial complex. In recent works, she has argued that the prison system in the United States more closely resembles a new form of slavery than a criminal justice system. According to Davis, between the late 19th century and the mid-20th century, the number of prisons in the United States sharply increased but crime rates continued to fall. 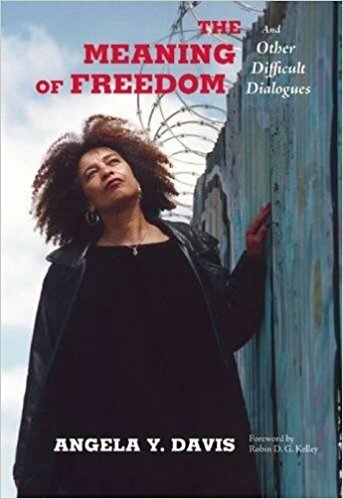 During this time, she argued that racism in American society was demonstrated by the disproportionate share of the African-American population who are incarcerated. "What is effective or just about this "justice" system?" she urged people to question. 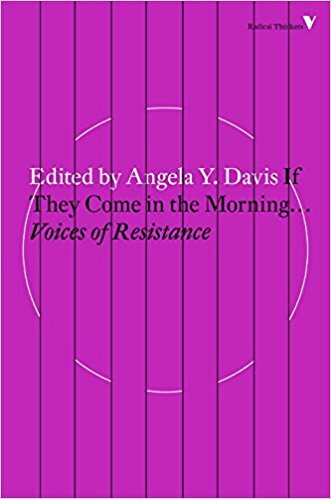 Davis has lectured at Rutgers University, San Francisco State University, Stanford University, Smith College, Bryn Mawr College, Brown University, Syracuse University, and other schools. As most of her teaching is at the graduate level, she says that she concentrates more on posing questions that encourage development of critical thinking than on imparting knowledge. In 1997, she identified as a lesbian in Out magazine. We are facing a common enemy and that enemy is Yankee Imperialism, which is killing us both here and abroad. Now I think anyone who would try to separate those struggles, anyone who would say that in order to consolidate an anti-war movement, we have to leave all of these other outlying issues out of the picture, is playing right into the hands of the enemy, she declared. More than a generation later, in 2001 she publicly spoke against the war on terror following the 9/11 attacks, continued to criticize the prison–industrial complex, and discussed the broken immigration system. She said that if people wanted to solve social justice issues, they had to "hone their critical skills, develop them and implement them." Later, in the aftermath of Hurricane Katrina in 2005, she declared that the "horrendous situation in New Orleans" was due to the structures of racism, capitalism, and imperialism with which our leaders ran this country. Davis opposed the 1995 Million Man March, arguing that the exclusion of women from this event necessarily promoted male chauvinism. She said that Louis Farrakhan and other organizers appeared to prefer that women take subordinate roles in society. Together with Kimberlé Crenshaw and others, she formed the African American Agenda 2000, an alliance of Black feminists. On October 31, 2011, Davis spoke at the Philadelphia and Washington Square Occupy Wall Street assemblies. Due to restrictions on electronic amplification, her words were human microphoned. In 2012 Davis was awarded the 2011 Blue Planet Award, an award given for contributions to humanity and the planet. On January 23, 2012, Davis was the Rhode Island School of Design's MLK Celebration Series keynote speaker and 2012 Honoree. Davis is a supporter of the Boycott, Divestment and Sanctions campaign against Israel.